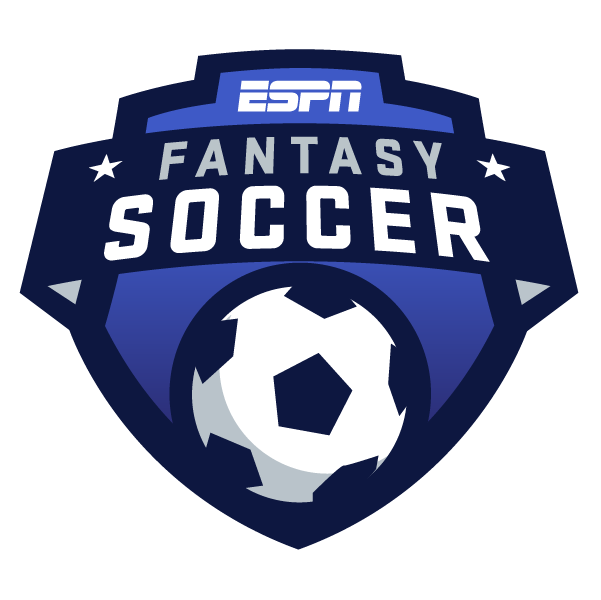 Fantasy soccer -- Premier league fantasy picks -- Alvaro Morata or Aleksandar Mitrovic? Premier league fantasy picks: Morata or Mitrovic? The biggest game of the weekend is the first Manchester derby of the season on Sunday -- always must-see TV. Saturday's six-game slate is relatively unappealing, with Tottenham being the only "big six" club in action. But you'll probably have players from your fantasy team involved, at least. Is Raheem Sterling the best Premier League fantasy midfielder? Liverpool are playing at home against Fulham, the team with the worst defensive record in the league. That's a mouth-watering matchup for fantasy players. Salah had a goal and two assists in a 4-1 win over Cardiff City two weeks ago, and Fulham are even worse than Cardiff defensively. There's no reason to pick him over Salah, unless you are feeling really lucky and want to have a differential. Firmino has gone without a goal or assist in six league games in a row, and only has two goals and two assists on the season. He has three goals in the past two games, and took five shots in each of those games, with three on target each time. Morata's been a streaky player since coming to the Premier League last season, but his confidence should be high right now, going into a home game against Everton. He didn't start for four straight games earlier this season, but as I mentioned earlier this week, he is averaging 0.74 expected goals per 90 minutes -- only Sergio Aguero (0.86) and Jamie Vardy (0.75) are averaging more among regular starters. He has the highest projected fantasy points total in this tier, but Mitrovic has failed to score in five straight games now. And Liverpool have the second-best defensive record in the league, only conceding five goals in 11 games. He returned to the starting lineup in Chelsea's 1-0 Europa League win at BATE Borisov on Thursday, and if Hazard starts on Sunday, I'm going with him. Despite missing Matchweek 10 due to injury, and coming off the bench last weekend, Hazard remains the Premier League fantasy points leader. He's finished in double figures in points in eight of the 10 games he's played in, and finished with 9.5 and 9.0 in the other two. I was very tempted to double up on Liverpool here, playing against Fulham. But Mane is so inconsistent, unlike Hazard. Yes, he scored two goals in that win over Cardiff City mentioned above. But Mane's only finished in double figures in fantasy points in five of 10 games played this season, and finished with 6.5, 6.0, 4.4, 4.4 and 3.4 points in the other five games. Mane trails Hazard by nearly 70 points on the season, despite only scoring one fewer goal than him. He has three goals and five assists on the season, and is playing at 17th-place Newcastle on Saturday. Fraser didn't have a goal or assist last week, but Bournemouth were up against Manchester United, and he still had two shots (both on target) and three chances created. He's fourth in the league with 28 chances created, and ninth overall in fantasy points. These two have high projected fantasy points totals, and it's always a little tempting to go with players from "big six" clubs when they're available in Tier 2. But Mkhitaryan has only started six games this season, and his only goal and assist came in Matchweek 2. And Ramsey hasn't started the past four league games. I was skeptical about him earlier this season, despite the fact he scored three goals in four games in October -- each of those goals came on his only shot in those games. But Brooks took five shots against Manchester United last week, with two on target, and David De Gea made a very good save on one of them. Brooks is still a little risky, but he's one of the top attacking players in this tier, in a pretty good matchup. He scored Crystal Palace's goal in their 3-1 loss at Chelsea last week, but it was Townsend's first of the season, and he only scored two in 36 games last year. I don't like his chances of getting another one against Tottenham on Saturday. He picked up his third assist of the season last week against Crystal Palace, and remains the leader among defenders in fantasy points. It's true, Alonso's not shooting as much of late -- he didn't take a single shot last week -- but he is still a threat offensively. And he's more stable than the other top fullbacks, because he picks up lots more passes completed in Maurizio Sarri's possession-based system. He hasn't had a goal or assist in seven straight games, including Champions League fixtures. And this week he will be up against Manchester City, who have conceded a league-low four goals in 11 games. He didn't do much in his first two games against "big six" clubs this season, but Doherty finished with 11.9 fantasy points in last weekend's 3-2 loss to Tottenham, despite not having a goal or assist. Wolves are at Arsenal this week -- the Gunners are playing well, but they've still conceded 14 goals in 11 games. And Doherty has taken 19 shots, as many as Firmino, Bernardo Silva and Wilfried Zaha, if you can believe that. He has one goal and four assists this season, and leads all defenders with 21 chances created. But Holebas still isn't faring well in the ESPN scoring system -- he's finished with 7.1 fantasy points or fewer in his past five games. There are multiple reasons for this. Among them is that he rarely shoots -- Holebas has only taken five shots this season, with one on target. And he already has six yellow cards. He's fourth in fantasy points among goalkeepers, despite the fact he's only played seven of 11 league games, and has the highest fantasy points per game average by far among regular starters. Llloris has had to make four more saves than Alisson, and seven more than Ederson, despite playing in four fewer games. I think Lloris presents the best chance of combining a clean sheet with save opportunities this week, playing at Crystal Palace. Manchester City scored six goals against Southampton last weekend, and six more against Shakhtar Donetsk on Wednesday ... enough said. Liverpool suffered a shocking 2-0 loss at Red Star Belgrade on Tuesday, but Salah took eight shots, with three on target, and had three chances created as well. Fulham are a mess, and have conceded 29 goals in 11 games -- four more than any other team. Need I say Mo?